It’s more than common sense that requires landlords to screen incoming tenants. Landlords owe a duty to the tenant community and others to run tenant background checks. Law enforcement agencies advise landlords to screen tenants as a way to avoid crime, and courts have found that landlords who fail to screen may be found negligent, and could be liable for any injuries or damages an unscreened, high-risk tenant may cause. Effective tenant screening depends upon accurate information. The landlord has a responsibility to verify the applicant’s identity so as not to perpetuate identity theft or any other criminal activity. Personal identifying information such as full legal name, birthdate and SIN (optional but helpful) is necessary to match a credit report to the correct applicant. Ask each applicant for a photo ID and check the picture for a match. Unless prohibited by local law, take a copy of the ID to preserve the address, birthdate if noted, and other identifying information. Best practices include shredding or destroying personal information when not needed, as in the case of an applicant who is not accepted. A written rental application is key to avoiding problem tenants. It is a landlord’s responsibility to provide applicants with a rental application, and to make sure that the application is fully completed. A separate application must be completed by each proposed adult occupant from whom you want to obtain a tenant credit check as each rental application contains the consent clause for that individual. 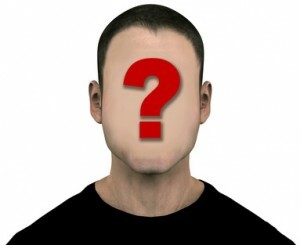 The information provided in the rental application is needed to complete a tenant background check. Without this information, the landlord has no way of cross-checking data provided by the tenant against that provided in the tenant screening reports. It is significantly more difficult to identify a high risk tenant when you can’t compare information. Capture the full name, DOB, SIN, current and previous addresses and names of current and previous landlords. 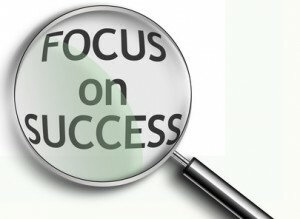 High risk tenants neglect to provide all information or may provide false information. For this reason a rental application should be completed in its entirety. That declaration provides permission to conduct a tenant background check, which includes making inquiries with employer, current and former landlords, references and so on. It also contains a statement that the information provided is true and complete. In many cases, the penalty for lying on the application includes the landlord’s right to evict, and may subject the tenant to a fraud charge where and when stolen identity is used. Obtaining that signed statement is an important step in the tenant screening process, so much so that it is a wise practice to point it out to the applicant before he or she completes the application. 1. The application has been completed in its entirety. 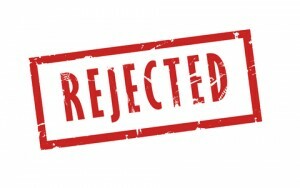 In some instances, an incomplete application is a red flag and may be grounds to reject the applicant, particularly where information was withheld or provided inaccurately. This would not meet your criteria. 2. The applicant meets your criteria assuming the information on the application is true. If the applicant appears to meet your criteria, then all information, including income and references, should then be verified. If the applicant has failed to complete the rental application in its entirety, find out why. Why didn’t you follow my instructions Mr./Ms. Applicant? Could this be a telling sign as to how the Applicant will react to your requests as a Tenant? REVIEWING THE RENTAL APPLICATION WITH THE PROSPECTIVE TENANT may give you some insight into the character of the individual. For instance, if the person obviously is withholding information, providing false information, or hiding behind illegible writing in order to cause problems obtaining a credit report, then it is not likely that the applicant will respect the terms of the Tenancy (Lease) Agreement. This practice may save you time and effort and eliminate the need to obtain consumer reports, thus saving you money. Do you want to rent to someone who was not truthful on the rental application or didn’t obey your instructions? The more impactful question might be whether you want to spend the time and effort PREVENTING a high-risk tenant renting from you, or do you want to spend the time, effort and money EVICTING the tenant when rent remains unpaid, the rental unit has been damaged, or you have sustained abuse and hassles that come with high-risk tenants. This is a serious consideration that should be given to every applicant who applies for rent. 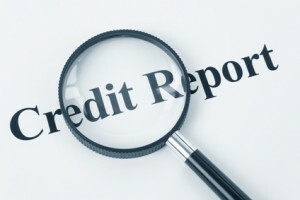 Access to an individual tenant’s credit report is limited. Fortunately, Provincial Tenancy Acts and Credit Reporting Acts (depending what Province you are in) allow for companies like TVS Tenant Verification Service to provide landlords with a rental applicant’s consumer information, provided that written consent was given and it’s for a permissible purpose, which in a landlord’s case is tenant screening. As previously noted, the landlord must show that the tenant has given permission to run the credit check. That permission is contained in the declaration portion of the rental application. The credit report will flag missteps in the tenant’s credit history, which may include chronic late payments which are indicative of bad pay habits, judgments and information including past due rent which is reported by collection agencies, prior bankruptcy or too much outstanding credit. In the absence of any tenancy laws to the contrary, a landlord can reject an applicant when a credit report reveals negative information. Does the landlord have a responsibility to advise the applicant that his or her application was denied due to a poor credit history? No, not in Canada. Might a landlord advise an applicant that rent was denied because of poor credit history and bad pay habits? If we warn tenants that there is a tenant screening process in place and tenant credit reports are required, they might attempt to pay their bills and rent on time in the future, thus making them better tenants. If this was common industry practice, might there be fewer high-risk tenants? 1.They can order a copy of their own consumer report from either www.equifax.ca or www.transunion.ca to determine if it is accurate. 2. They can check to see if their Consumer report is mixed up with someone who has the same name, lives in the same household, or was victim to Identity Theft. Contacting the credit reporting agencies and clearing up any mistaken entries on the report or taking steps to rehabilitate the Applicant’s credit benefits everyone. Landlords and Property Managers can help to facilitate better tenants through advice and education. One such educational site is www.tenantsinfo.com –and it’s a TVS site. Rejecting tenants for a lack of credit can sometimes be a problem for landlords. For example, landlords cannot discriminate against immigrants who may not have a SIN or driver’s license or key identifying factors that are often used when requesting a credit report. In that case, it is especially important that all other identifying information is accurate. The absence of a credit report or the inability to locate a credit report may not be a defense for rejecting applicants in all cases, like in the event the personal information is located outside the country, or stringent credit thresholds adversely impact protected classes of applicants, including the disabled, families with children and minorities. Hard copies must be physically protected as per Provincial Privacy laws and using common sense. For instance, file cabinets containing tenant information should never be located in the leasing office where other tenants or unauthorized people have access. Data received online must be protected — computers must have security systems in place to prevent unauthorized access. Lock it up! Best practices include shredding, deleting or securing the report after the rental application has been approved or denied. You should keep the rental application for five years to protect you in the event of a dispute. Note: The rental application has the signed authorization giving you permission to obtain applicant’s tenant credit report. In this day and age, it seems everyone has rights but only you have responsibilities. It is wise to know your landlord RIGHTS and RESPONSIBILITIES, as well as your tenants’ RIGHTS and RESPONSIBILITIES. You should be familiar with your Provincial Tenancy Laws so you know what you and your tenants are — and are not — allowed to do. Many tenants don’t know! 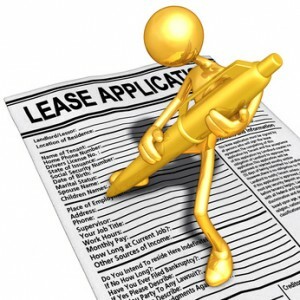 Remember, www.tenantsinfo.com is an educational website for landlords and tenants. Point your tenants to this site, help educate them, and you will have fewer problems!